Bridge to Another World: Gulliver Syndrome Collector's Edition is rated 3.7 out of 5 by 33. Rated 5 out of 5 by in2gaming from What a neat game! I loved this game and am leaving it installed for the next sale. My review is based on the demo. I had 12 minutes left on my free hour when the demo ended. I loved the unique story, the graphics, and the fact that it isn't so ridiculously hard or illogical that it becomes annoying or stressful. It is just a great, fun, entertaining, beautiful break from your day, with a fun, whimsical storyline. You can customize the level of difficulty, which was also a nice touch. I almost didn't try this game, based on the rating and some of the negative reviews, but I'm so glad I did! You might be really glad you did, too. Generally, I like Time Management genre because it gets your brain so jumbled you really can't think about life's stresses, but if these are really good, sometimes a very pretty one is a nice break, but they do have to be very good, otherwise I'm just anxious to get back to everything I need to do and it's not much of a break. This one was perfect. It kept me entertained; in fact, I look forward to getting back to it. Check it out! Rated 5 out of 5 by Valdy from Love this game !! I am glad to see a game that has a colour scheme that consists of more than the usual blue shades I see in most HOGs these days. I love the story, graphics, and gameplay, as well as the puzzles which are on the easy side, and which I prefer. Unlike some others, I do prefer the game to be on the short side. I rather finish a game wanting more than finish it and say "at last it's over". 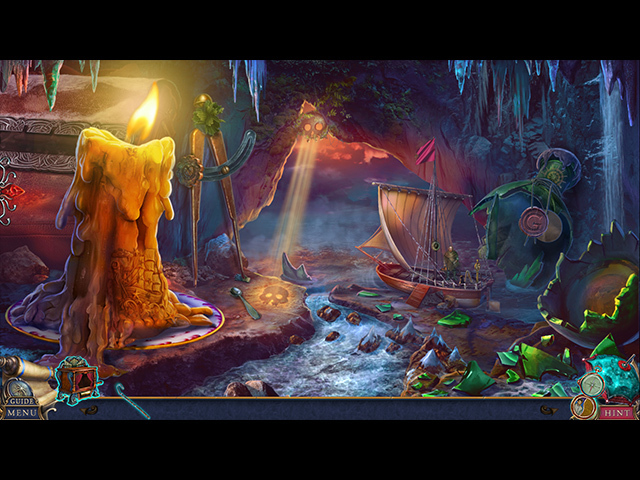 I also love those little zoom-in hidden object scenes, and prefer them to the large ones. All in all a very well done game, and I highly recommend it. Rated 5 out of 5 by yowzasma from Storyline Different & A Quite Enjoyable Game I really agree with the positive Reviews my fellow Fishies have written. It was really refreshing to play a game with a different storyline i.e. ; the sizes of everyday objects. The text said several times to do something to the 'cradle' which I assumed was a translation error till I googled images, cradle, LOL, glad I did plus I learned something new : ) I also like the way it's so easy to find out if I missed any collectables : ) I liked it & recommend anyone that would like a little change of pace and give it a try. This one is getting a ***** out of 5* on my personal enjoy-ability scale. Rated 5 out of 5 by Poodlekins from Brilliant Game! After reading some of the bad reviews I was sceptical about this game but as I had all the previous ones decided to try it. After playing the demo I bought it. I was really impressed. The music is not intrusive, the story is great and the graphics are good and it's fun which is what I like in a game. The puzzles are not too hard, the morphs and collectibles are hard to find sometimes but can be found if you persevere! Give it a try and see what youthink. Rated 5 out of 5 by LikeAGoodStory from Fantastic Storyline! This is not Jonathan Swift's Gulliver's Travels (in storyline) but it maybe in theme, human nature being what it is. Just a thought. 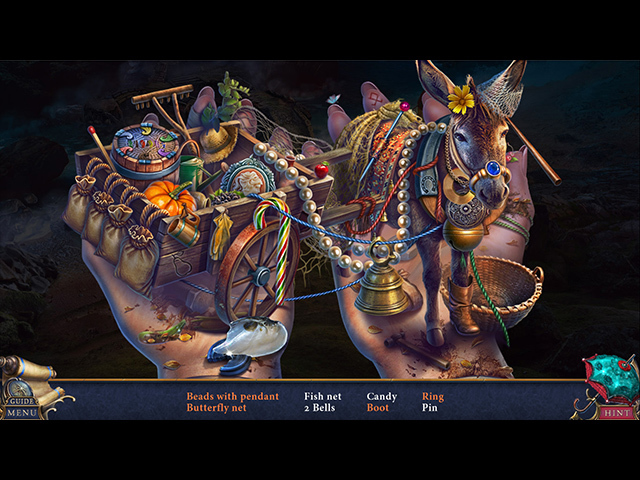 The game ends without wrapping up all the details and in fact, introduces other elements. Somewhat, the Bonus Chapter explains further but again, there is a possibility of more to come, all of which I found intriguing and fun. Well done, 4 Friends! 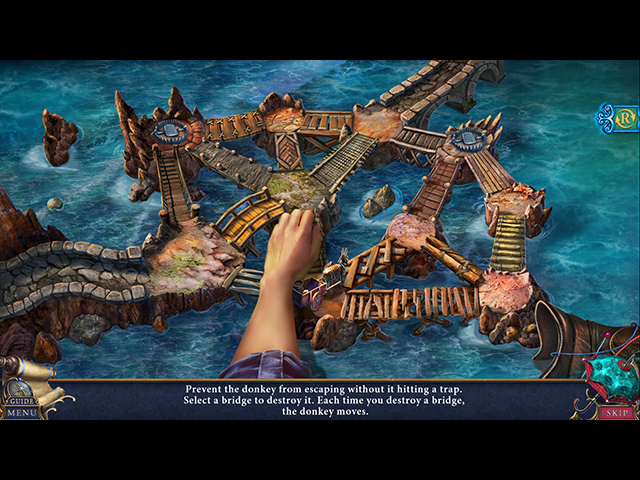 Any storyline that works this well integrates the hidden object scenes and puzzles into its plot twists so the player feels completely immersed in the game. And the graphics are extraordinary and complete the fantasy. My review is based upon completed play of the game and Bonus Chapter. I play in casual or relaxed mode, as I am in no hurry, preferring to listen to the music and admire the graphics. For me this was not a short game. The Bonus Chapter is a bit short and heavy on hidden object scenes but it also introduces another plot twist so I enjoyed it overall. 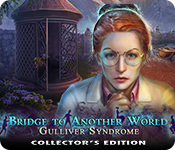 Rated 5 out of 5 by biscuitsmama from GULLIVER SYNDROME IS ANOTHER AMAZING BRIDGE TO ANOTHER WORLD Since this review of Bridge to Another World Gulliver Syndrome is a day late, I am not going to have much to say that hasn’t already been said in other reviews. I’m going to simply say that I loved this game. I have played through the whole game and found it to be wonderful, including the storyline. As many of you may already know, I have asked for quite some time that games are not overloaded with puzzles or mini-games but that they are at least equal in number to HOPS. 4Friends Games got it right with this game as it is not overwhelmed with puzzles at every turn and that the puzzles are almost equal in number to the HOPS. So, a huge thank you to a developer who listens to what gamers want included in HOPA games. When I began to play the game I found the HOPS to be very creative. One of the first ones is a spin on one from another game by this developer and although it isn’t exactly the same, it is just as enjoyable. There were so many small touches in the game that made it a graphic delight for me and the way I like to play. I tend to be a slow player because I always become so immersed in the graphics and every little detail to be found in the different scenes. 4Friends is a developer who does an awesome job with creating their games that I always have to gawk at every scene to see what I can find and mostly what I don’t want to miss. Not only were the HOPS excellent, IMHO, but so were the mini games. I loved the first one where I had to trap the donkey – how fun! And then when the donkey brays and I see his teeth that are so detailed I had to laugh. The entire game has been a delight for me and one that I will replay many times in the future. My thanks and kudos to BFG and to 4Friends for Bridge to Another World Gulliver Syndrome. As always, even though I loved this game I recommend that you try the demo to see if it is a game you will enjoy. Happy gaming! Rated 5 out of 5 by annstelten from Fun! I agree that the bad reviews threw me off. Haters gotta hate, I guess. The game is fun and I love the extras like morphs and collectibles. I'm going to buy. Rated 5 out of 5 by 1955raven from GULLIVER BRIDGES THE GAP ....................... TO YET ANOTHER GREAT 4 FRIENDS GAME ! SO HAPPY TO SEE BRIDGE TO ANOTHER WORLD AGAIN! LOTS OF FUN THINGS TO DO, LOVE THE STORY, SCENES, MUSIC ETC. Rated 5 out of 5 by tigerlily142 from great game I cannot understand the bad reviews. I was not going to download it when I saw the bad reviews but then I decided to play it and see why it got the bad reviews. I don't know why but I liked the story and I liked that things were different. The graphics were good and the story was to. I did not get far with the game because I wanted to review it. The hogs were different. Like I said I cannot understand the bad reviews. I thoroughly enjoyed the game and will purchase it.